It is frustrating that there still isn’t a designated physical back button on Apple’s new iPhone models and there probably would never be one. What adds to the frustration is that many mobile applications, including Facebook, WhatsApp and Instagram, designed their in-app back and cancel buttons to be on the top left, where it’s not easy to reach with a single hand, especially if you’re using a bigger model like iPhone 6 Plus. 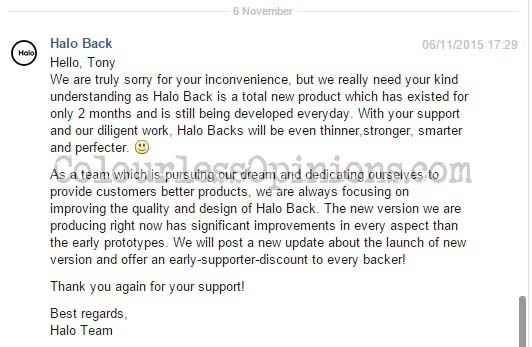 This inconvenience created a demand for a solution and at the moment, Halo Back is the closest thing to one. 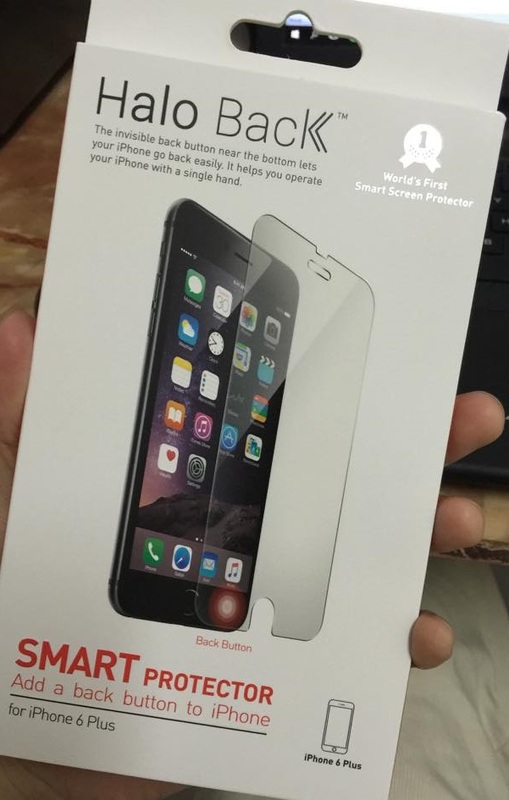 It’s a magical screen protector that “adds an invisible back button” to the bottom left of the phone. So, does it work? The simple answer is — yes, it does to a certain extent. I’m not very mobile-device-savvy, but I’m guessing the screen protector has some sort of a technology that transfers or generates the heat of our touch from the bottom left to the top left of the screen, hence activating whatever in-app button there is up there. Very cool. However, there are problems with it. Neither the Halo Back nor the actual in-app back/cancel button works well when the iPhone is laid flat on the table or bed. It’d only work when the device is held, or I’d just have to keep pressing around the button’s area until the screen detects, which is frustrating. Also, due to the thickness of the screen protector itself, the touch screen isn’t as sensitive as it should be. When my fingers are slightly colder or have dead skin, whatever I pressed would not be as consistently or quickly detected as when I was using the ordinary screen protector (that wasn’t cheap either and I disposed it for this). 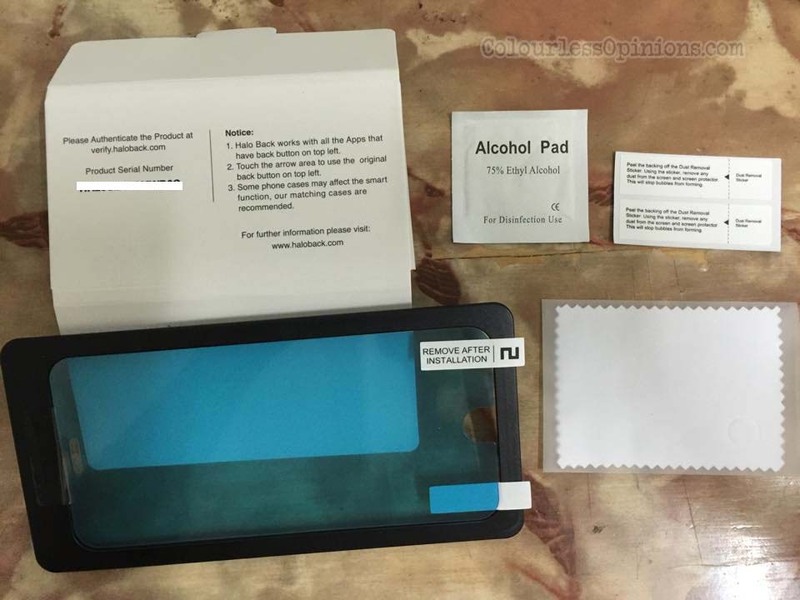 At the current price of $29.99 (and an estimated retail price of $39.99), the package of Halo Back also includes two dust-removal stickers, a mini cloth, a tiny alcohol pad, illustrated instruction on the box, serial no. for product authentication, and a frame. The frame was supposed to help guide users to install the screen protector centrally onto the iPhone, but instead, it guided me to stick it slightly more to one side, and therefore a bit of the actual screen wasn’t covered. So, horrifically, I had to remove the whole thing and do it again a few times before realising that their frame wasn’t really helping. Even if there aren’t any problems with the product, the solution itself doesn’t completely solve the inconvenience. The in-app back/cancel buttons are not consistently on the top left in every single application. In some apps or certain areas in it, the buttons can be on the top right or already at the bottom of the screen, and getting used to Halo Back may cause the users to accidentally press some other buttons that are not back/cancel. Unlike using mobile devices of other brands, users wouldn’t even need to think whenever they wish to press back as almost every other brand’s phones have a physical back button. If Apple is adamant to stick with their inconveniently beautiful design, they need to set a standard for all applications entering App Store to have a back/cancel at the bottom left ONLY. Like many who backed the project on Kickstarter, I only received the product after a 2-month delay in delivery due an excuse that wasn’t reasonable to me. In total, I had to wait like 5 months since backing the project. By the time I got it, I was already used to the inconvenience of the iPhone and I probably would be using some other phone in a few months time. The company did initially respond to my enquiries about the then-indefinite delay on their Facebook Page but they stopped after a while. And because of all these disappointing downsides combined, I find it difficult to recommend this China-made product to anyone. UPDATE (16/11/2015): More problems discovered. 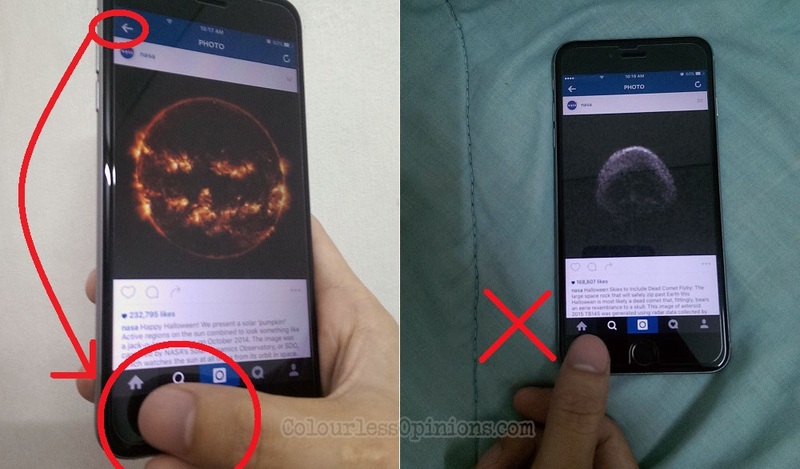 Some users complained on the brand’s Facebook Page that their iPhone begun lagging and the Apple centres advised them to remove the screen protector. I, myself, had experienced that once but it was okay after I reset the device. The worst of all is that, based on their reply to me on Facebook, they seem to have known the flaws of their “prototype” all along and yet they still sold it without informing anyone about its shortcomings. And instead of offering me replacement, they’re offering a discount for all early backers to buy the new version of the product. Thanks for finally admitting what a fraud this has been. If this review wasn’t published, they probably wouldn’t have bothered replying my messages. Also, yesterday, my iPhone 6 Plus fell from not more than 3cm above ground and the Halo Back cracked across the screen. The previous ordinary screen protector I was using didn’t even have a scratch when my device fell from 2 feet high off my bag.